You’ve seen those “one-pot wonder pasta” recipes floating around the internet. Everyone from Rachel Ray to Martha Stewart is in on the action and this recipe takes that idea to the next level. Most of the wonder pastas are not “saucy”, well this one is! It’s rich, creamy, vegan, and oh-so-delicious! Give it a try today! This recipe was published in VegNews as part of my 3 Incredible 10-Minute Recipes story. 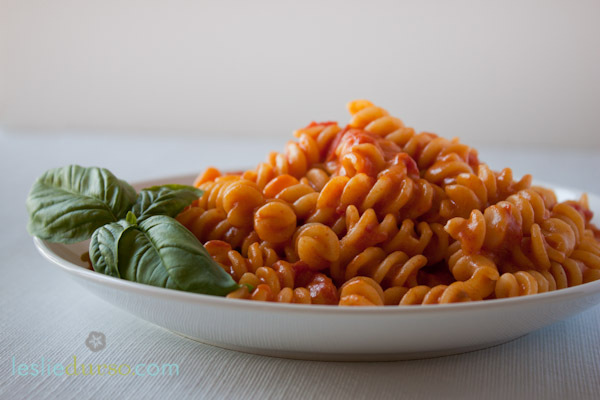 Place all the ingredients in a pasta pot and cook on high heat for 9 minutes, stirring frequently. Serve warm. such a sucker for cream cheese!! !